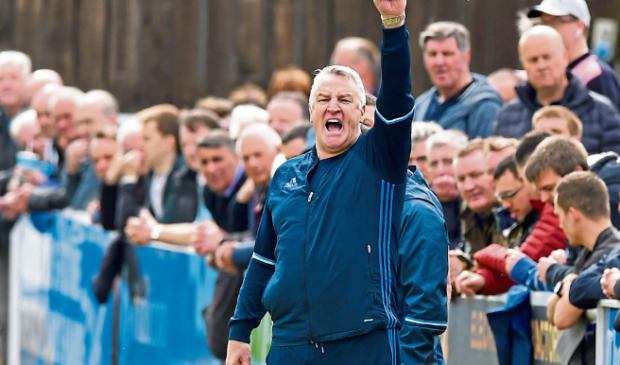 Cove Rangers manager John Sheran insists his players are ready for their date with destiny as the Highland League cham-pions bid to win promotion to the SPFL by beating Cowdenbeath at Central Park in Fife today. Cove can make history this afternoon by being the first Highland League club to gain admission to Scottish League 2 via the pyramid system. Four other clubs – Cale-donian Thistle (an amalgamation of Caledonian and Inverness Thistle), Ross County, Peterhead and Elgin City all had to apply to secure their place in the Scottish League. On the eve of today’s crunch play-off second-leg match, Sheran said: “We have enjoyed the week’s rest without a game but equally everyone now just wants to get the game on. “The boys are already fired up and want to get playing and we will certainly be ready. “It’s still all to play for. It would have been nice to have a lead after last Saturday’s first leg at Harlaw Park but before the game I would have been happy with a 0-0 draw. “I believe that when we play down there tomorrow it isn’t going to affect us or bother us in any way as we have played more than 160 games away from home over the last three seasons, so that isn’t an issue. We know the pitch will be difficult but it is the same for both teams. “I want our boys to focus on their performance, and if we can put on a good one I think the rest will take care of itself. “I’ve been at Central Park as a manager and as a player and it’s not the nicest place to go, but it is what it is and tomorrow it needs to be our ‘field of dreams”. If Sheran and his men were to make history and progress to League 2, the Cove manager believes any plaudits shouldn’t be directed in his direction but that all the glory should go to others. He added: “It’s all about the club and the players. Whether you are managing in the Highland League or in League 2, you are still just the manager of a team. The important bit is the players, the club and the supporters, those are the key factors for me. Today’s match kicks-off at 2pm in Fife.